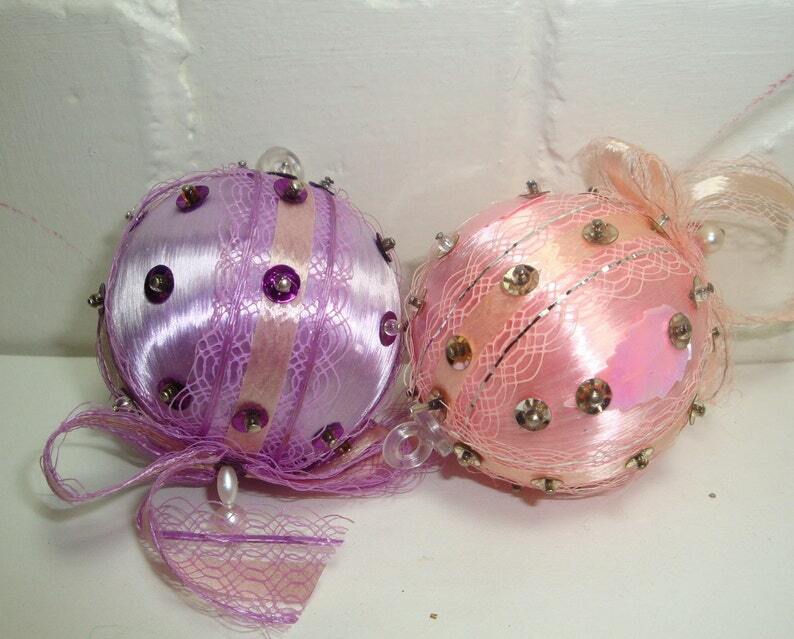 Vintage pink and purple ornaments. Pastel purple and pink shades, perfect fora shabby chic Christmas decor or Easter tree. You will receive both the purple and pink ball ornaments. They are wrapped with matching ribbons and sequins. Smaller in size, measure about 2 1/2" tall from tip of beads to top of plastic hook. The pink one has plastic leaves in between the ribbons. Very sweet! Would you like to see a similar ornament shaped like a bell?